We’re excited to welcome Seny Daffe back to Kittery on April 25 for a special Dundun Dance class! Namory will teach a drum class beforehand and lead the accompaniment for the dance with Seny. Reserve your drum today! Join Namory and Seny for these high-energy and joy-filled classes. 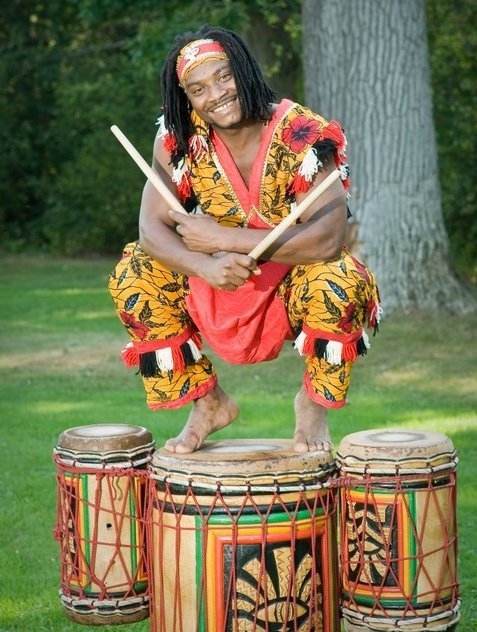 Namory Keita is continuing with his weekly teaching schedule in Maine – Mondays in Portland and Thursdays in Kittery. On Saturday, March 30, he is offering the first of the year intermediate/advanced drum workshops. Explore the intricate layers of West African traditional ensemble playing with this Master Village Drummer. Don’t miss this rare opportunity he is providing for his intermediate and advanced students. You can choose to come for just the first half or the entire workshop. This section will focus on the complexities of the djembé, setting the rhythmic stage for the entire ensemble with dunduns. The second half will be dedicated to developing the dundun lines for the rhythms we learned in the first half along with variations. Please register ahead to ensure your spot. If you need to borrow a djembé or dundun for the class or have any questions, please let us know by emailing mebdancn4ever@gmail.com. Please note: this workshop is not for beginners. Namory teaches all levels classes Mondays in Portland and Thursdays in Kittery. Please visit the classes page on Namory’s website for information on the ongoing drum and dance classes. 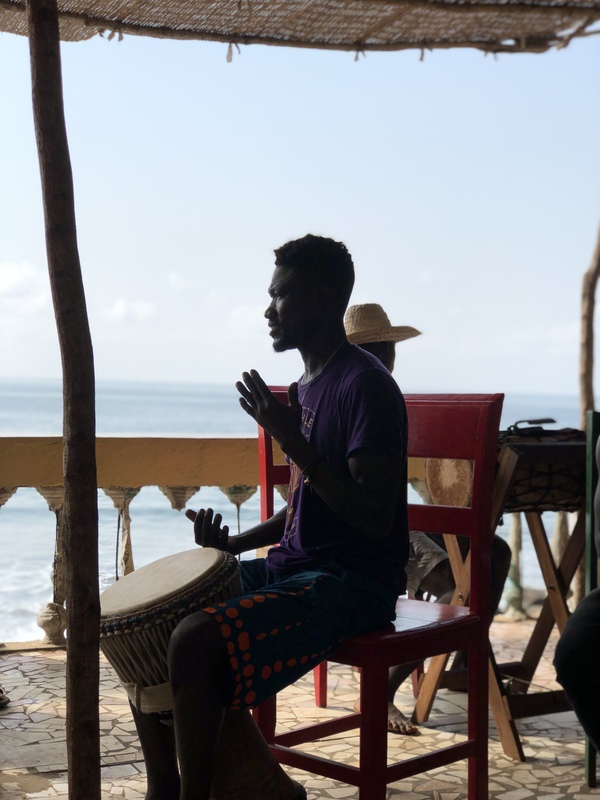 Namory just returned from Guinea last week and will have his first Kittery class, Thursday February 21 at the Dance Hall. 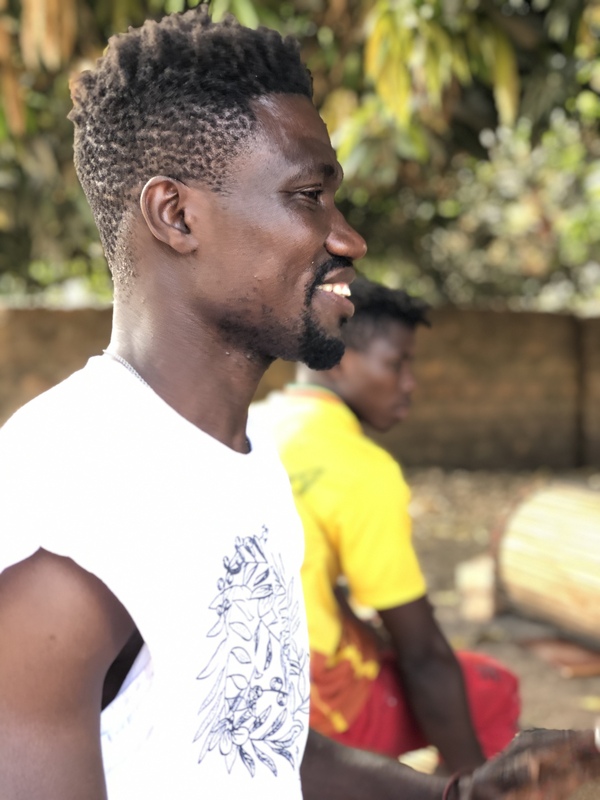 Though we’re so glad that Namory is able to visit his home country each year, having him return to our community in Maine is always a blessing! 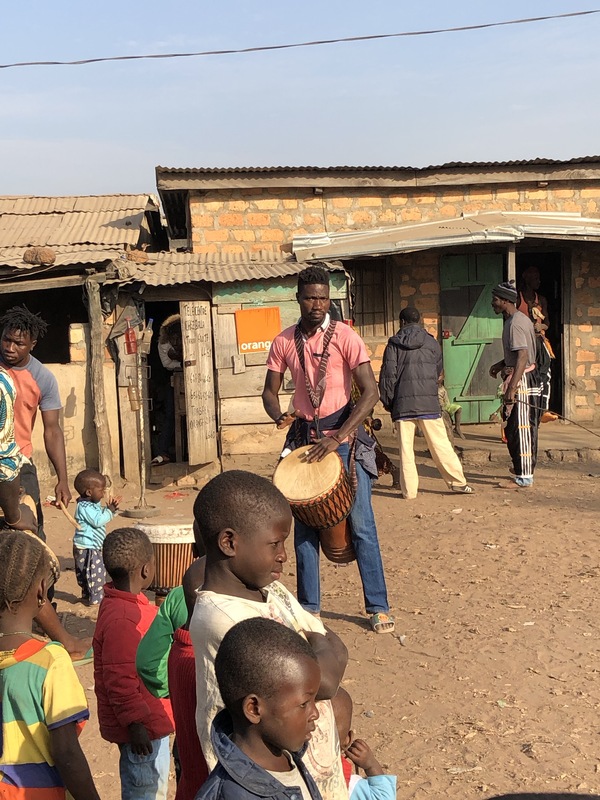 Wondering what some of the dancing and drumming was like in Guinea? Here is some footage of a dundunba in Namory’s hometown village of Sangbaralla and clips of drumming and dancing in both Conakry and Sangbaralla. This week we will do both dance and dundun dance. Seny Daffe will be back in Kittery at the Dance Hall, Thursday, October 25 for another dundun dance class. Reserve your drum now! 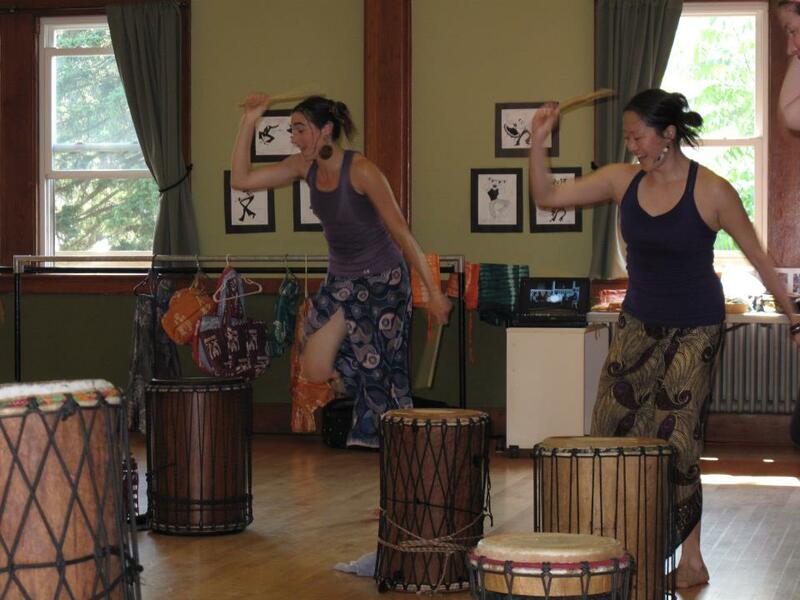 Last week Namory, Liz, and several drummers and dancers from Thursday night classes spent an hour at Rice Public Library in Kittery. Namory led a few songs and rhythms and several people who were there to watch joined in with the drumming and dancing. Folks from Seacoastonline captured some of the evening with photos and a story. Thursday, August 16: there are no classes but we’ll be back at the Dance Hall on August 23 starting with drum class at 5:30 pm. Seny Daffe will be back in the area in early September collaborating on classes and a performance with Namory. Saturday, September 8: Seny, Namory, Marita Kennedy-Castro and folks from Portland’s New Moon Ensemble perform at Henryfest in North Yarmouth, ME. We’re trying to organize a class for Seny and Namory in Cambridge – stay tuned! Seny Daffe will return to teach a dundun dance class Thursday, May 10 at the Dance Hall. Be sure to let us know if you need to borrow a drum for either class. Join us at the Dance Hall for another wonderful evening with Seny and Namory!